Botox is a substance that is produced by bacteria: It is then highly purified, refined and diluted to act as muscle relaxant. Dermal Fillers are used to restore lost skin volume by plumping out the area with lines, wrinkles and folds. The brands our expert surgeons use are Teosyl and Restylane. BOTOX injections temporarily block the nerve endings to small facial muscles involved in producing expression lines. Treatment with BOTOX injections results in these muscles being frozen, which in turn softens the lines in the overlaying skin. The treated muscles are unable to contract, but the untreated muscles are able to contract normally, enabling normal facial expressions to occur. The effects of BOTOX injections last for between 3 and 6 months, but with repeated treatments the muscles can become relaxed and their contractions reduced. 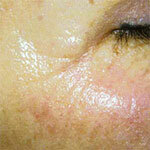 This results in the lines becoming softer more long term and hence the skin looks younger and less tired. Botox is quite a comfortable procedure as very tiny needles and small quantity is administered. Fillers usually require the area being numbed up with local anesthetic prior to the procedure. BOTOX injections have been used in medical research since the 1970's and in medical practice since the 1980's to treat several conditions including spasticity, facial spasms, eye deviation, squints and neck stiffness. Its cosmetic benefits were discovered in 1990 and it has been used effectively and safely for this purpose, worldwide, ever since. In small number of cases there may be small localized bruising slight swelling or redness at the site of the injection this usually disappears very quickly and can respond to application of a cool pack.to the area. 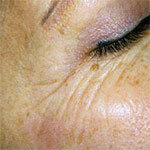 Botox has been used in hundreds of patients at Sunny Smiles and has an excellent safety profile. No serious side effects have ever been reported when using BOTOX injections in cosmetic treatments, because it is extremely safe when given in low doses. Side effects only occur in a minority of patients, are minor and are fully reversible within a few days to a few weeks. The most common side effect is a few days of bruising or redness at the injection site, which can be covered up with makeup if necessary. There have been cases where treatment with BOTOX injections has led to drooping of the eyelid or asymmetry of facial expression due to migration of BOTOX into adjacent muscles, resulting in their weakness. This is very rare and fully reversible, but may last a few weeks. Also, though extremely rare as well, it should be noted that repeated treatments within a short space of time may result in antibodies against BOTOX being produced by the patient, which renders future treatments ineffective.